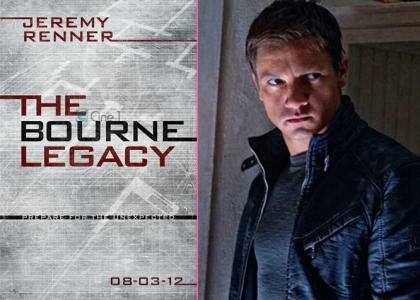 Filipinos were in for a buzz when actor Jeremy Renner and the crew of The Bourne Legacy went to Manila to shoot some scenes of the said movie. Of course, Pinoys were proud, having their country featured in a blockbuster Hollywood movie that started out with The Bourne Identity, starring Matt Damon. Now, the buzz was amplified even more when the official full trailer of the movie was released online. This delightful new trailer features some familiar scenes that only Filipinos could relate with. I haven't really read the books written by Eric Van Lustbader, even more with the original trilogy written by Robert Ludlum. Thanks to this movie, the Philippines has gained another 30-second fame in the Hollywood scene. So what's the familiar scenes I was talking about? where you could be stuck on traffic for hours. whom Aaron Cross a.k.a Kenneth Gidson has to batter. See the contrast of the poor and the rich? that the actor has to cross ala Spider-man. This trailer just did the most awesome thing of all. Made me proud to be a Filipino. That is why I am going to watch, not only because of these, but also because of the fact that I enjoyed watching the original trilogy. I can't wait for August 3, 2012 any longer.